Old. Good management. Noisy or not based on your neighbors. submitted by Youran F. - Jul 03, 2017 |Recommended: YesIt is nice apartment with good management if you don't care the old buildings. The silent and clean environment is based on your neighbors especially the upstairs. I recommend it when the renting price is not high. 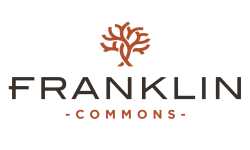 response from property - Jul 14, 2017 Thank you for taking the time to share your thoughts and experiences at Franklin Commons. We are thrilled to hear that you find both your apartment and the Management Team to be pleasant. We look forward to getting to know you better at our Resident Events- details coming soon! Its Nice but need to fix some of the thingssubmitted by Anil K. - Jul 01, 2017 |Recommended: YesOver all its nice experience, but need some to fix some issues. response from property - Jul 14, 2017 Thank you for sharing your thoughts. I would love to hear which areas you feel could be improved. Kindly stop by and discuss your thoughts with us. We are always happy to help! response from property - Jul 22, 2017 Would love to hear about the areas of improvement you would like to see. You mention that the community is clean and well maintained, however you marked that you would not recommend it to others. What can we do to improve your stay with us? response from property - Jul 22, 2017 Thank you for sharing your thoughts! We can certainly consider reserved parking spots. Please send any specific ideas to me via email at FranklinCommons.PM@AionManagement.com. We have also discussed the cracks in the tennis courts, and will be making a decision shortly. Please let me know if there is anything further I can do to improve your experience in our community. Review1submitted by Christopher F. - Jun 29, 2017 |Recommended: YesExcellent value for the rent money, great swimming pool and landscaped areas. Although maintenance does respond very quickly to requests for service, their solutions to the problems are merely Band-Aid fixes due to the aging property. response from property - Jul 22, 2017 Hello Christopher! So glad to hear that you are enjoying the swimming pool and beautiful landscaping. Have you been to the Summer Kitchen behind the Clubhouse? Be sure to check out the patio and let me know your thoughts. We are also making major changes to improve the response from the Maintenance Team so that instead of band-aids, they are able to make real and lasting repairs. Please let me know if you need my assistance by emailing me at FranklinCommons.PM@AionManagement.com. Thanks again! I'VE BEEN HERE 5 YEARS OR SO MY WIFE AND I LOVE IT HERE NICE PLACE TO LIVE.submitted by Joseph S. - Jun 26, 2017 |Recommended: YesI'VE HAD PEOPLE ASK ME ABOUT THIS PLACE WE HAVE NOTHER BUT GRATE THING TO SAY HOW ROOMIE THE APT IS . LOT OF UPGRADES THAT S BEEN DONE TO THE PROPERTY OUTSIDE. response from property - Jul 22, 2017 Dear Raven- Thank you so much for taking the time to share your experience with us. I am thrilled to hear that you have had such a wonderful experience with us. I am sure you will be very happy with the Dog Park once that is completed. We look forward to your continued residency, and hope to see you at the upcoming Resident Events. Look for details to be emailed!